My favorite questions begin with how and why. The universe is incredible. It’s complex, beautiful, sometimes terrifying, and always amazing if you look closely. But even more fascinating to me is the underlying mechanism — the how and the why behind every phenomenon. By understanding the way things work, we can do incredible things. We can fly three people to the moon and back, and land robots on Mars. We can have a face-to-face conversation with friends that are thousands of miles away. We can make faster computers, more efficient cars, stronger materials, and safer medical procedures. It all starts with the right mixture of curiosity, healthy skepticism, and the willingness to dig deeper and ask how and why. With that in mind, this website is dedicated to exploring the world around us and trying to understand how it works and why it is the way it is. The topics covered are wide-ranging, and growing all the time. Some posts look into amazing technology, both simple and complex, to understand how it works. In others, we investigate incredible phenomena, natural and unnatural, to understand why they happen. Some are about current events, while others look back into the history of science to understand how we know what we know. In addition, some posts are interviews with scientists, engineers, researchers, and others to get a glimpse of the work they’re doing and why they’re doing it. New posts will come at least once a month, and sometimes more often than that. If you have any thoughts or suggestions — or any hows and whys that you’ve been wondering about and would like to see discussed in a post — please feel free to let me know; all feedback is welcome. Be sure to follow Asking How and Why on Twitter and Facebook to get the latest updates! I hope you enjoy the site, and that you’ll join in the adventure as we learn more about the world around us. 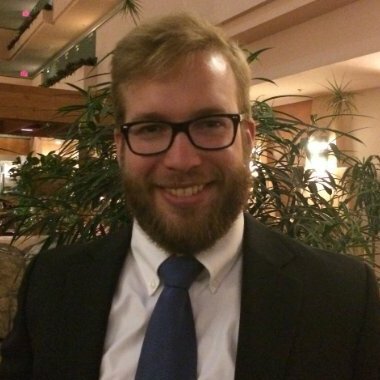 Andrew Owens is a PhD candidate and NASA Space Technology Research Fellow at MIT, where he works with other researchers to develop mission planning and technology assessment methods for long-duration human spaceflight. In particular, his research focuses on logistics and maintenance requirements for human missions to Mars and the potential impact that additive manufacturing technology could have. In his free time, he enjoys exploring new places, playing board games (and music) with friends, and having long discussions about topics that people are passionate about. Note: the views expressed on this website are the author’s own and do not necessarily reflect the views of MIT, NASA, or any other organization that the author may be associated with.